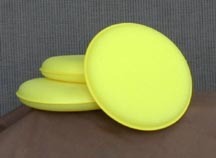 This four inch closed foam applicator pad allows the product to be applied evenly and thinly making removal easier! These cloths are 100% cotton, right down to the thread used to bind the edges, so you can polish your finest investments without fear of scratching the finish. 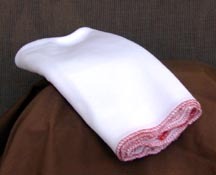 The bound edges prevent fraying to keep the surfaces practically lint-free. Each lot is tested by an independent laboratory for levels of chlorides and sulfur to guarantee safety. Three cloths per sealed package. The wax you use can only be as good as the cloth you use to remove it! Last modified June 21, 2017. Copyright © 2017 by Wax Bytes.